Brown fat, commonly thought as long-term energy source for hibernating animals, also plays an important role in blood sugar regulation and day-to-day metabolism. Previous studies have demonstrated a positive association between brown fat and leanness; thereby, adding to a patient’s brown fat reserves could potentially treat obesity. 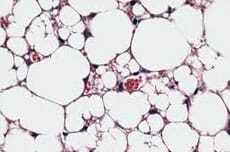 A study in Cell Metabolism shows how skeletal muscle stem cells could develop into brown fat cells. In mice, the injection of a drug that reduces miRNA-133 levels led to increased brown fat and leanness. Michael Rudnicki and colleagues are optimistic that this treatment could become a viable therapy to fight against the current obesity epidemic.